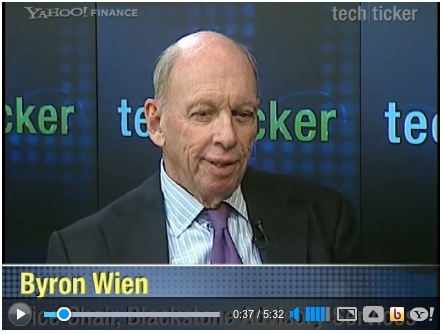 While potential interest rate hikes in China have concerned investors, Byron Wien says he remains bullish on the country. Wien, the vice chairman of Blackstone Advisory Services, tells Yahoo! TechTicker that China has been successful in confronting every economic problem it has faced, and that its authoritarian government actually makes addressing economic problems easier than it would be in a democratic country. Wien also discusses why more stringent down payment regulations make China’s hot housing market much different than the U.S.’s housing market was before the bubble burst.